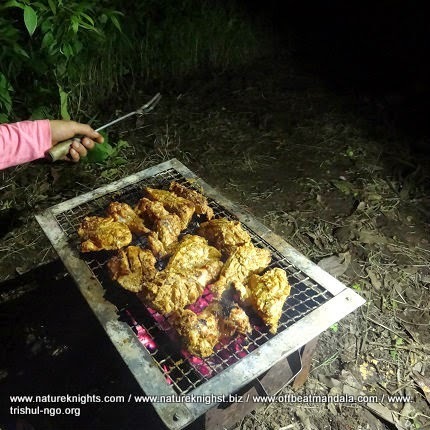 Campfire; Barbecue; Special Meal; Camping; Campfire Night with activities till 11pm. 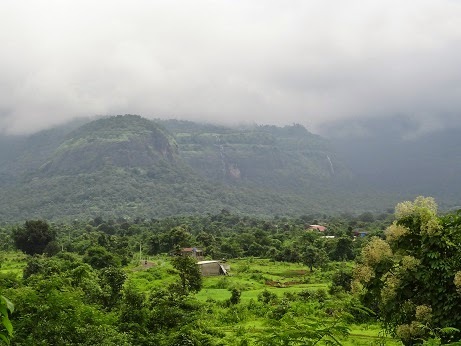 Wake up in the morning to the Bhor ghaut that is formed of a succession of towering mountains above each other. You have seasonal access to a river where you could swim or just laze about and enjoy the outdoors. 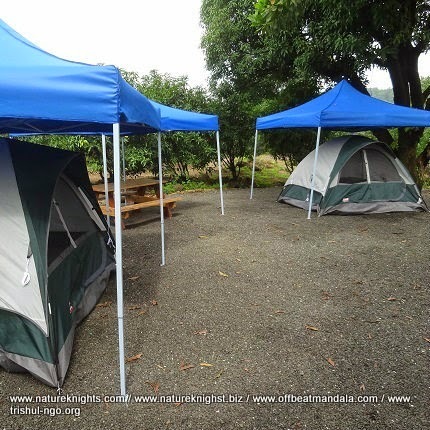 You can begin your stay by pitching a tent and move to preparing your BBQ just after sunset. 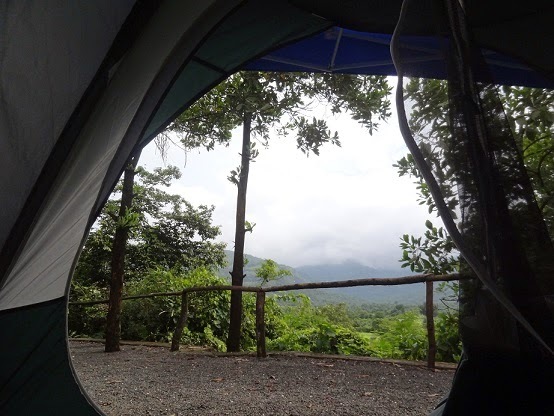 At night you could go for a short walk around the campground with just a lantern to guide you! Our common areas have some board games for you to relax with. All your meals are served here, while barbecue is prepared live here too! 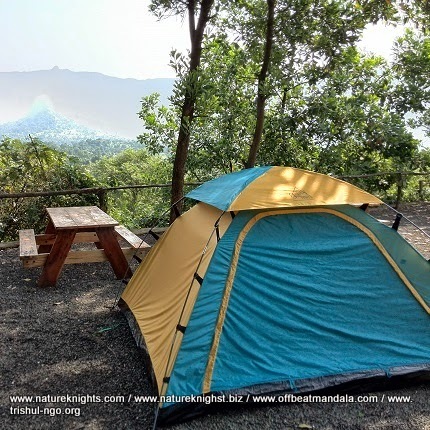 Camping at SH-92 is fun, and by default as there is no mobile connectivity you are completely cut of from the world, which gives you more time to reconnect with yourself.. But we do have a phone that you could use in case of emergencies. The hills are calling out to you and you can even make your way to top! 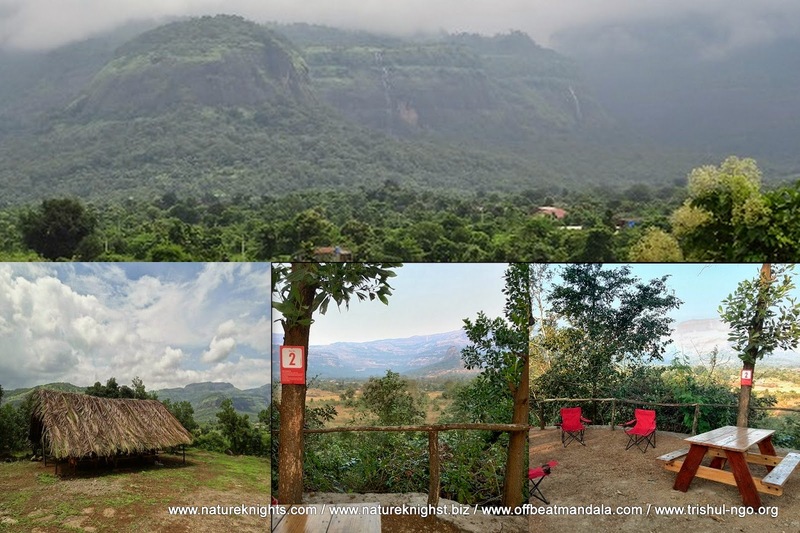 For beginners and those who are looking for something easy we could take you for short trails into nearby forests and hills. 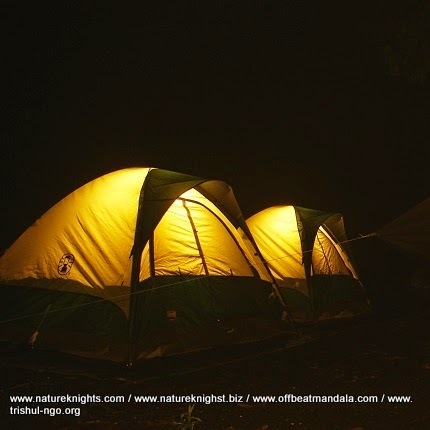 We can also do short night hikes nearby. 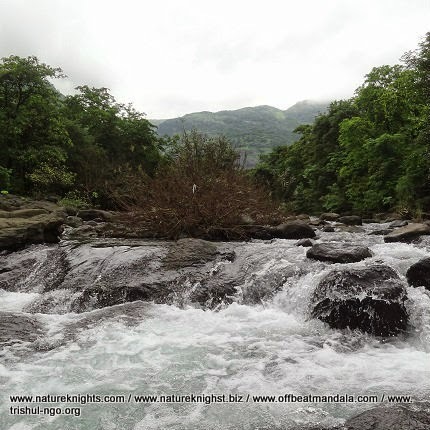 For those looking for something more adventurous you could do a 45 min hike to a waterfall after a 10 min drive to the starting point(Monsoons only). 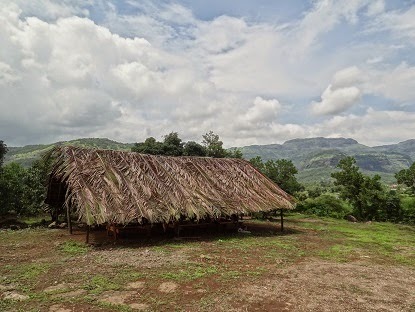 Else you choose Mrugagad which is about 5 hour trek (to & fro). 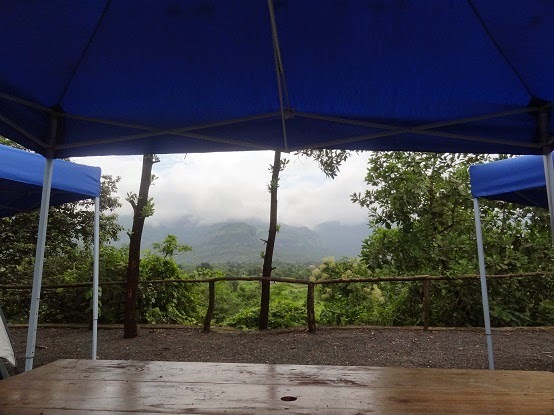 From the topmost point of Mrugagad, you get a spectacular view of the whole valley! You could go for a swim or just relax in the shallows of the Amba river, which is a short walk from the campground. 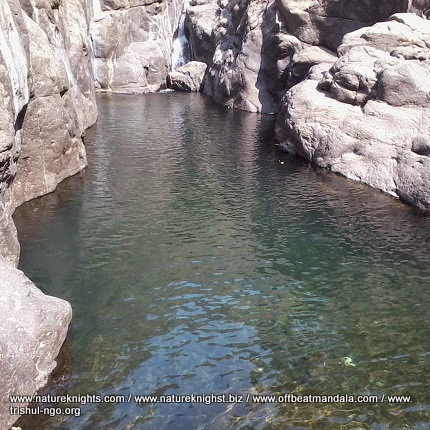 Alternatively you could hike to a natural swimming pool in the mountains, the beauty and peace can assure you of a good experience! 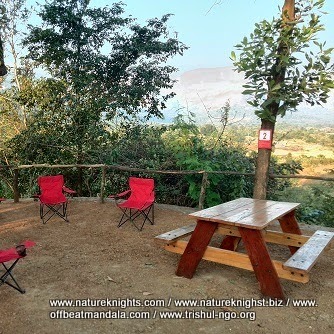 Camping Charges Adults Rs.4500/- (for New Year Night). breakfast is included with your camping charges. Available 9:00am through 10:30 am. New Year Special Addon meal menu plus activities till 11pm.